In addition to our game development blog, we are happy to present you video diary. In this series we will tell you about the main characters and the lore of the Lost in Sky world. The great spaceship ARK is cruising through the space in the distant future. This planet-spaceship is made up of multiple biomes, inhabited by humans and mutated deadly beasts. Over the centuries of wandering the humanity lost its goal and the former level of technology. Owing to the dictatorship of a group of priests, headed by the Creator’s AI, the City, ARK’s core and the pillar of industrial civilization, remains the only place preserving bits and pieces of the lost knowledge. All of a sudden, mutated monsters from the Jungle invade the city. Security system crash leads to a bloody massacre, which only the heroes of the warrior caste can stop. 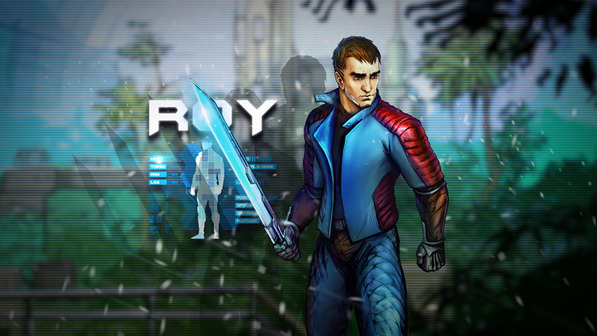 Roy M., the Swordsman. An elite melee warrior from Ark captain’s private security team. Absolute combat skills enable him to confront any threat. Eileen, the Archer, who deals ranged damage. Her sharp eyes and quick shot spell trouble.